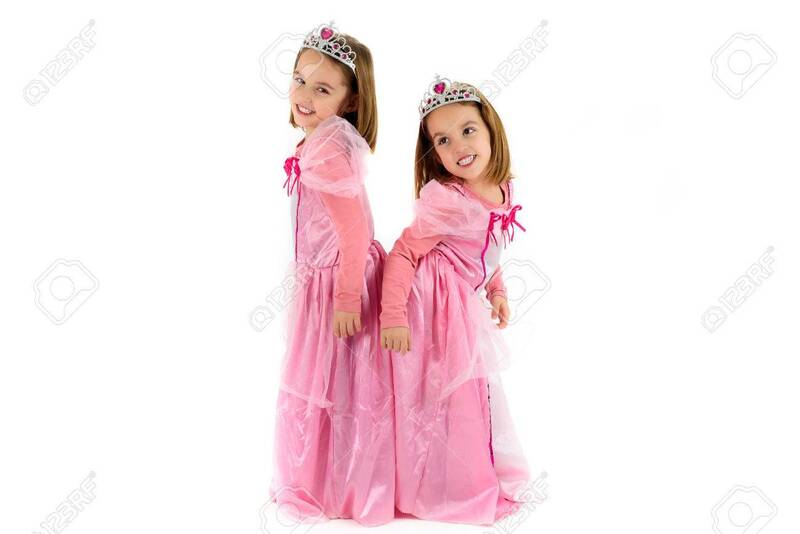 Portrait Of Little Twin Girls Dressed As Princess In Pink. Happy.. Stock Photo, Picture And Royalty Free Image. Image 53997759.